The weather forecast is a bit wet for this Saturday 13 June – so why not book the family in to our fabulous Peter Rabbit Tea Party at midday. Tea parties are exceptionally good value at £11.50 for adults & £8.50 for children. 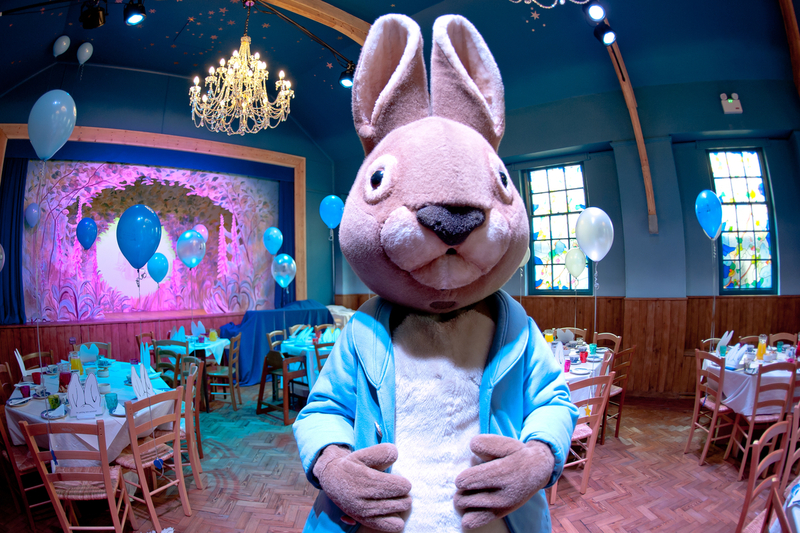 This includes a delicious party lunch for everyone, a gift and balloon for every child, the chance to meet Peter Rabbit, a story read by Beatrix Potter and your exhibition ticket. All Tea Parties take place in our newly refurbished English Tea Garden, just across the road from the World of Beatrix Potter on Rayrigg Road.